Be On The Lookout For Entangled Whales! You are here: Home / Articles / Home Top List / Be On The Lookout For Entangled Whales! With the start of the much delayed beginning of Crab Season just begun, commercial fishing boats are already out in scores along the coastline. As many locals already know, Dungeness Crab Season was delayed for months because of a dangerous toxin, domoic acid, detected in catch. Finally, crab caught earlier this year showed no signs of toxins and we are off to the races, with projections for the season as short as one week. Fisherman and local restaurants were aware of the possibly of the late start to the season resulting in lower quality catch, but crab caught last weekend passed the quality test and now everyone is trying to recoup major losses due to the drastically shortened season. 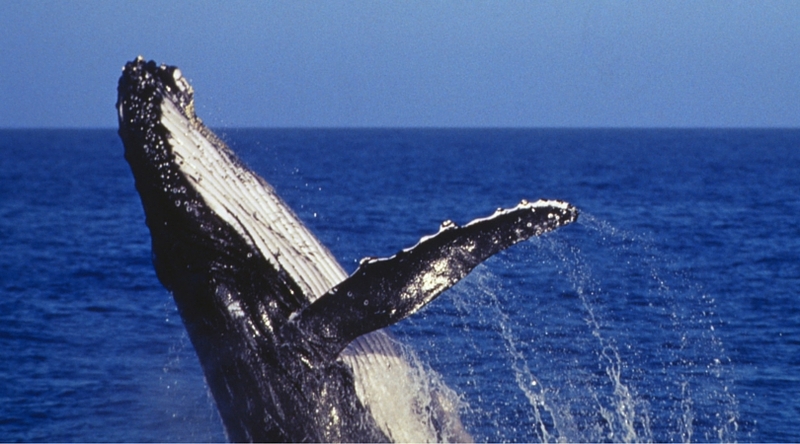 While the shortened season is a problem for local fishermen, it is also a potential concern for our whale population. Gray whales have been born in record numbers this year in Mexico and are already migrating up the California coast, staying close to land to avoid killer whales. But with their migration happening at the same time as this year’s rushed crab season, they are going to cross paths with thousands upon thousands of crab pot lines. The California Whale Rescue is asking anyone out on the water to be on the lookout for entangled or distressed whales and to spread the word through your networks so they can save as many whales as possible. Crab fishermen are already a big part of the organization’s response network. They actively work with California Whale Rescue to prevent future entanglements, develop better fishing equipment, and train their crews on what to do if they find a whale in distress. If you spot a whale in trouble, try to stay with the whale at a distance of 100 yards and immediately call (877) SOS-WHALE(877–767–9425) or hail the U.S. Coast Guard on VHF CH-16. Full instructions on what to do if you come across an entangled whale are available on the California Whale Rescue website. Relevant information in this post is credited to Heather Shaw Willis, Operations Coordinator at California Whale Rescue.